Are you perhaps traveling to the U.K. for Easter this year? If so, lucky you! A U.K. chocolatier named Slattery has teamed up with a gin distillery called Zymurgorium to create the best of both worlds Easter treat: Chocolate Easter egg filled with a bottle of Gin! There are two kinds to choose from: 1. 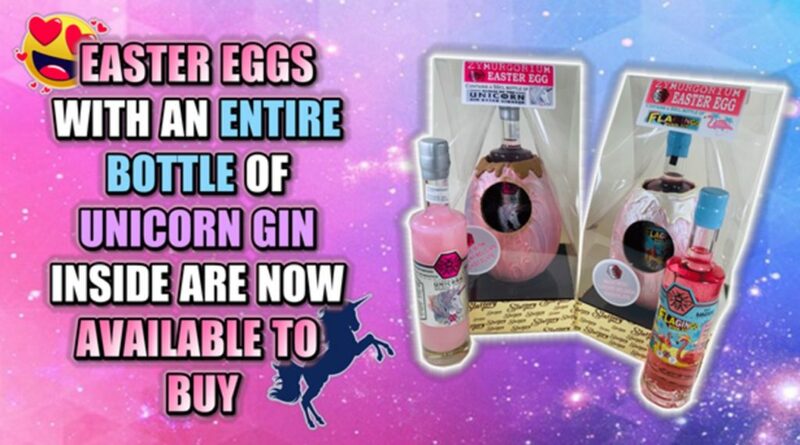 “Realm of the Unicorn” which is “a sparkling pink gin flavoured with toasted marshmallows” or 2. “Glangingo,” which is “a pink gin flavoured with mango, passion fruit, allspice and ginger.” However, if you are staying in Ontario for the Easter weekend then why not sign up for a BartenderOne Masterclass or Workshop, where your can learn to create delicious gin cocktails and of course eat chocolate! PBR is known for it’s great price tag and also has a distinctive taste enjoyed by many! What if a whiskey had those same principles? Affordable and delicious? 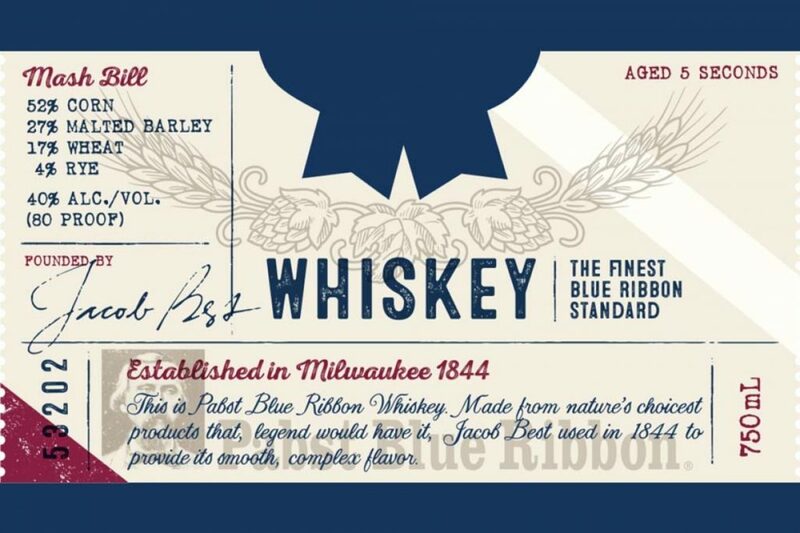 It has been released that Pabst Blue Ribbon has done just that, from the records of Alcohol and Tobacco Tax and Trade Bureau: “PBR is releasing its own official whiskey this summer”. It’s said to be “80-proof whiskey, will be made from 52 percent corn, 27 percent malted barley, 17 percent wheat and 4 percent rye.” Lastly, the label indicates that it was “aged for 5 seconds”, naturally creating a very light coloured whiskey. This is set to be a PBR Beer and Whiskey summer! Enhance your bartending skills and create some delicious whiskey cocktails at a BartenderOne MasterClass and host some great PBR Cocktail Parties this summer! Tired of the typical all-inclusive get aways? Ready for a vacation that’s out of the norm and will be an experience of a lifetime? 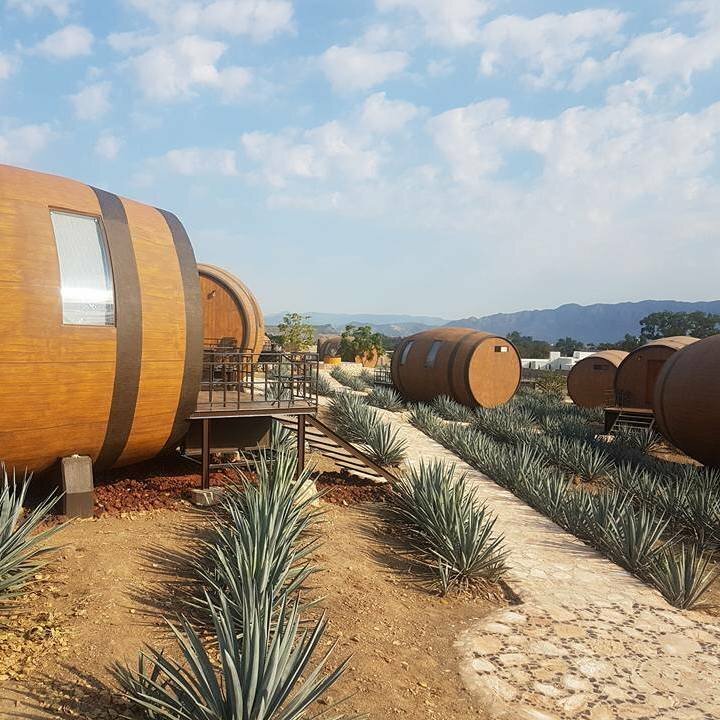 Then this new hotel found in “the middle of Casa Cafradia’s agave farm” is your destination! You’ll stay in large barrels and have the opportunity to “tour the fields by night, harvest your very own agave and even distill your own tequila.” To help get you and your travel buddies in the cocktail shaking and tequila mood… sign up for a Breaking the Ice Workshop hosted by BartenderOne. You’ll learn the craft or bartending, the trick behind creating well-balanced cocktails aka. a Margarita! Click here to enrol and get your tequila knowledge and margarita skills ready Casa Cafradia! Life getting a little dull? Need to add a little spice and pizzaz!? 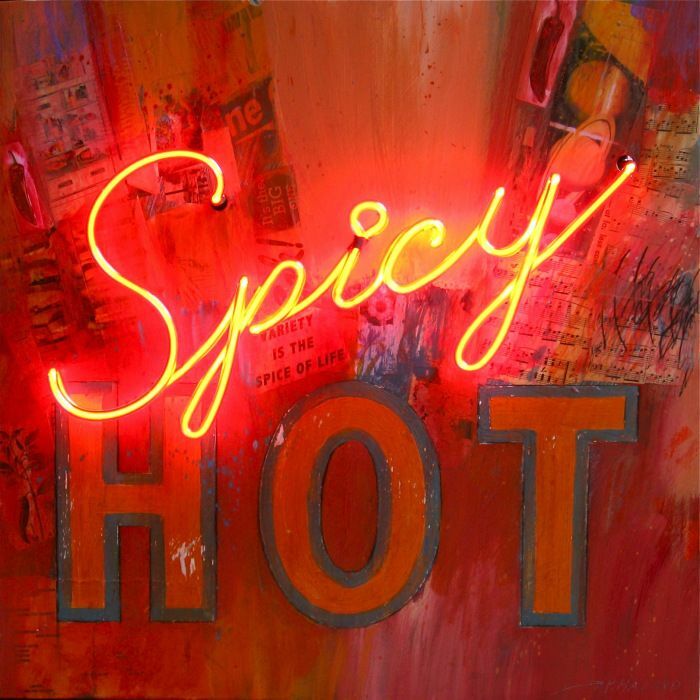 Let these 5 spicy cocktails do just that! As popular as the Jelapeno Margarita is, there are many other great tasting cocktails with a kick. Don’t just spice up your tastebuds, why not spice up your mixology skills as well? Gather a group of friends and have a Spice Up Your Life Cocktail Workshop/Team Building event with the BartenderOne Bartending School! We are heading into spring and warmer temperatures are upon us, (thank goodness!) However, it’s inevitable when there is a change in temperature, colds can creep up on us. Ready for a quick remedy that’s tasty, comforting and not chicken noodle soup? 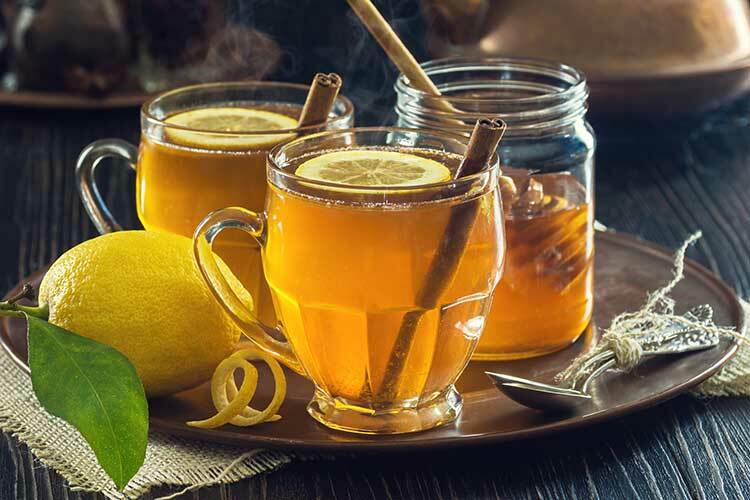 The classic Hot Toddy is your ticket to feeling better! Unsure of how to concoct this beverage as well as, many other classic cocktails? Look no further! Head into spring with a BartenderOne course under your belt and start hosting some great backyard parties while mixing up some terrific cocktails! Enrol in a BartenderOne MasterClass here and jump into spring with a cocktail shaker in hand! Have the Stars Aligned For You this April? Let your Cocktail Horoscope Tell You! Cocktails and Horoscopes..How could life get any better!? It’s the start of a new month and this article states “April signifies new beginnings, and this one has a lot in store for you.” You must read on!…Find your sign where you will see which cocktail pertains to your monthly forecast. 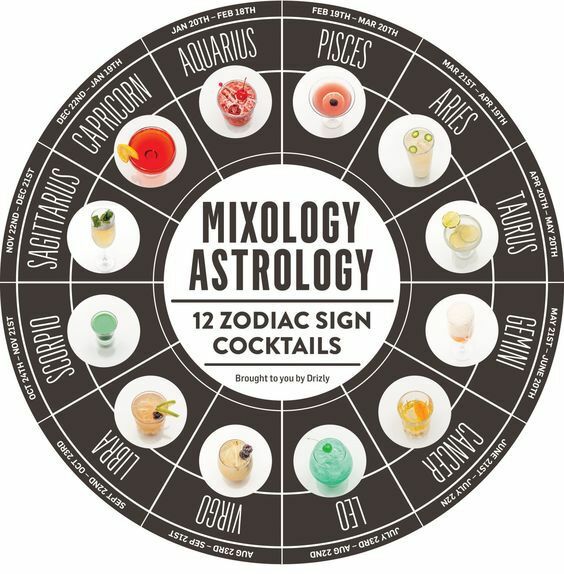 Once you know your zodiac cocktail, it’s time to mix it up! Why not have a horoscope team workshop, where you can get a group of your friends together, learn how create perfectly balanced horoscope cocktails? Sign up for a BartenderOne Workshop and let the stars and BartednerOne guide your cocktail creations! 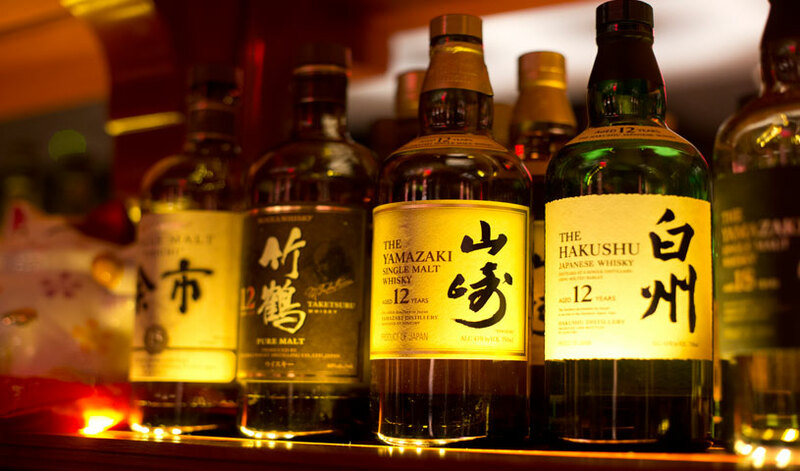 Japanese Whisky is loved by many across the world, especially in America, which is why it was such a shock to consumers, when Suntory revealed they are discontinuing two of their most popular brands- “Hakushu 12 Year” and Hibiki 17 Year”. An article by Nino Padova explains the story behind Japanese Whisky almost “dissapearing form America”. He discusses the history and current state of this beloved Whisky and its production. He states: “The ongoing joke is that Japan is swimming in whisky; it’s just that none of it is ready to drink yet.” Not only does Japanese Whisky have a fascinating story, Whisk(e)y itself is a rich subject matter. Learn more about whisk(e)y and many other beloved spirits at a BartenderOne Masterclass. Enrol in our next Masterclass course while our Special Job Fair Promotion price is still on! Don’t let this opportunity disappear like Japanese Whisky! Today’s the start of a new month!… Are you feeling you’re in need of a dry month? Learn how to do it right and make the best “booze-free” cocktails! 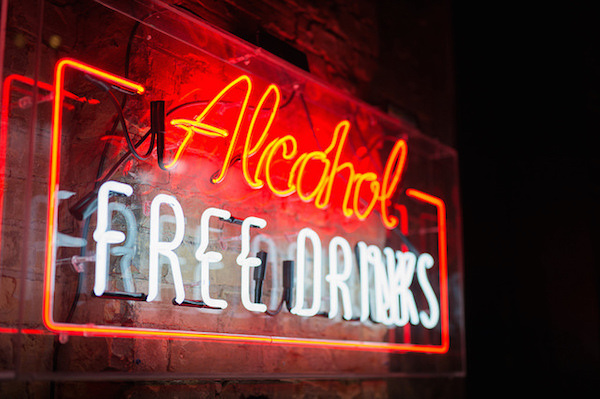 An article by Dan Q. Dao, from January 2019, describes 7 important steps and tips to remember when creating a non-alcoholic beverage. He references Noah Small who is a beverage director at Empellon in New York City who says… “A good zero-proof cocktail should be made with the same approach to balance as a cocktail with alcohol”. Let the month of April be an exploration of juices, carbonation, herbs, fruits, your bottom shelf and let your creativity be tested. Have you made plans this weekend with a special someone to go on a first date? Are you already thinking about what you’re going to wear, what bar you’re going to go to…AND what drink you’re going to order first!? I know, great, one more thing to think about! 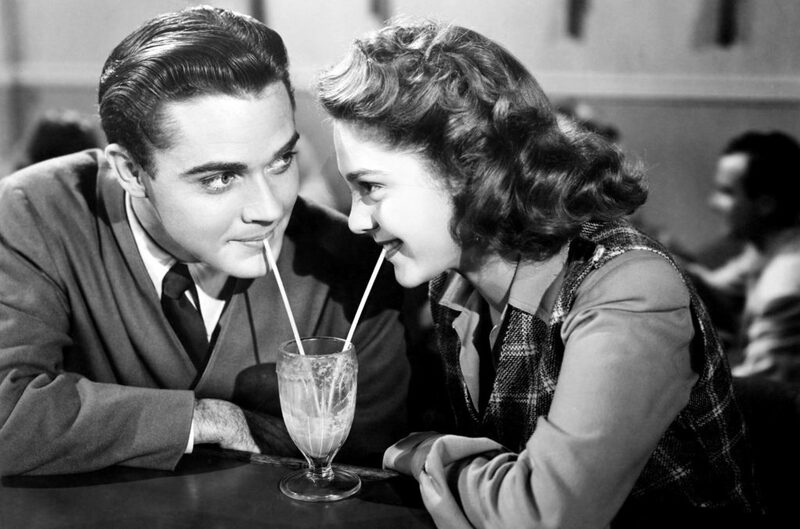 Clink here to find out what men and women believe are the best and worst first date drinks to order. Is it wine? Redbull- Vodka? Instead of going out to a restaurant or bar, how about impressing your date with shaking up your own cocktails!? Not quite sure how to mix drinks? No problem! Enroll in a BartenderOne mixology course and learn the art of bartending. Your date will be so impressed and those first date jitters will be shaken away before you know it! As a kid didn’t you love packing your own lunch? You could throw in an array of foods that didn’t really go together but together they created the best shmorgesboard lunchbox! When it comes to alcohol, a bar in Oklahoma City called Edna’s named their signature cocktail the “Lunchbox” as it uses the same method of madness! 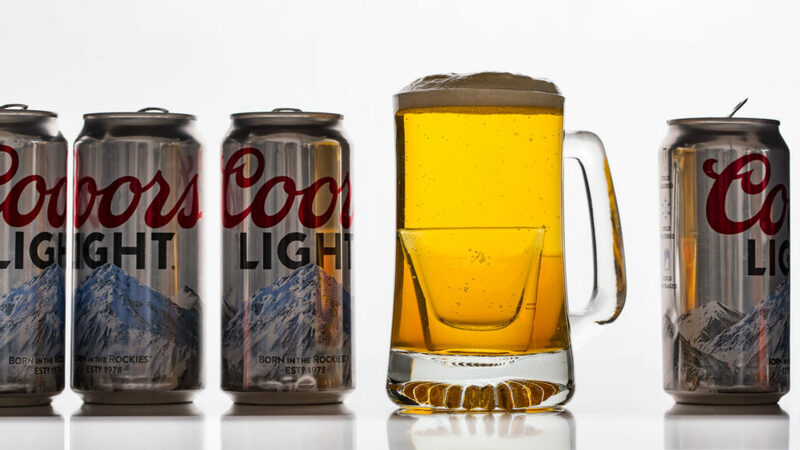 The “Lunchbox” is comprised of Coors, Amaretto and OJ, it’s presented in a beer mug with a shot of Amaretto sitting at the bottom of the glass and topped with a splash of OJ. Read what the owner has to say about this stumbled upon creation of a cocktail! Have you been harbouring some bizarre culinary combinations that you’d like to see come to fruition? Let BartenderOne help you release these creative ideas and enrol in a “Get into the Spirit” Workshop, where you will learn how to properly construct a well balanced cocktail and have the opportunity create a new beverage using fresh ingredients from a Mystery Box or “Lunchbox” shall I say!